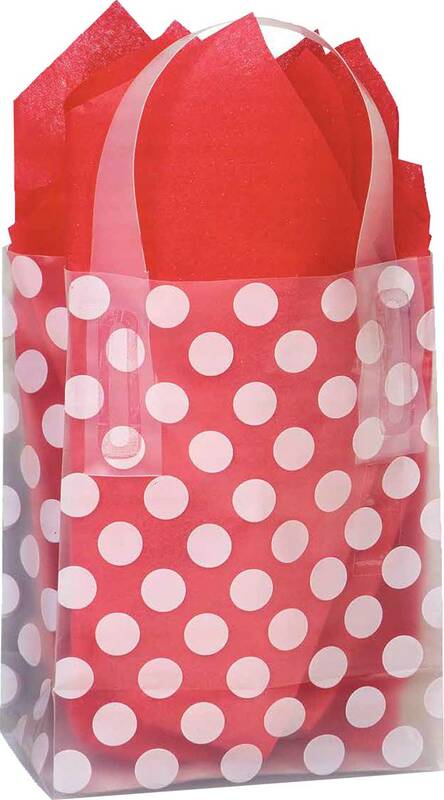 Clear plastic bag with white polka dots. The bags contain a cardboard bottom insert and red tissue paper. Size: 4”x5”. Sold in packs of 100. Copyright Sell More Gift Cards. All Rights Reserved. with 3DCart Sell Online.